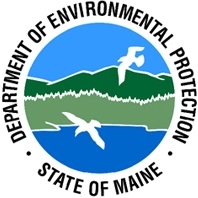 The Maine DEP is proposing changes to the rules affecting permitting of Site Law projects. The changes primarily involve requirements related to demonstrating adequate financial capacity to construct and operate the development. Additional changes are proposed that affect phased financing, long-term (generally more than ten years) construction projects, and the burning and disposal of land clearing debris on-site. A public hearing is scheduled for October 15, 2015 at the Augusta Civic Center. The comment deadline is October 26, 2015. Comments can be emailed to Mark Margerum (Mark.T.Margerum@maine.gov) or mailed to Mark Margerum, Maine DEP, 17 State House Station, Augusta, ME 04333-0017. For more information on the proposed rules and how they might impact your projects, contact Juliet Browne at jbrowne@verrilldana.com. Posted on September 29, 2015 by Juliet Browne and tagged Maine DEP.